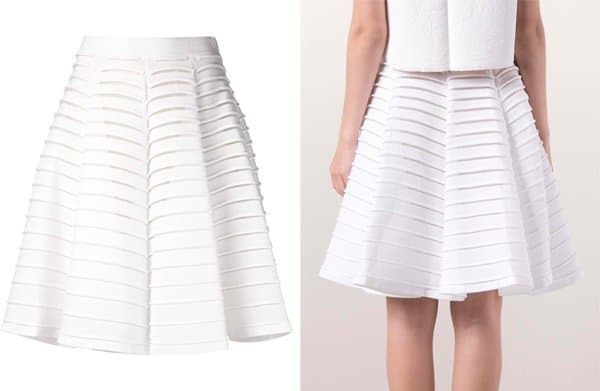 The sheer midi skirt, especially the full skirt variety, has practically been the uniform of many stylish ladies in the past few months. It’s just very festive and can instantly dress up a simple top. It also boasts of versatility. Depending on how you style it, you can wear it for a short errand, a picnic or even a formal function. Actress Mena Suvari stepped out with husband and tattoo artist, Salvador Sanchez, wearing a full white skirt. 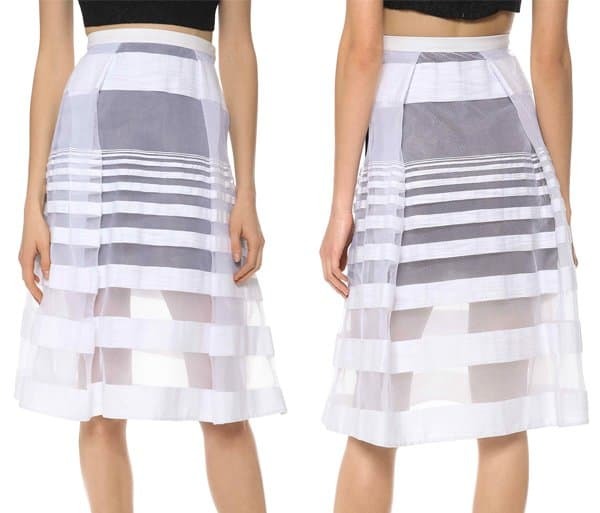 The skirt’s sheer overlay has striped details. She paired it up with a black shirt that says “Paris” on it and a pair of sandals. 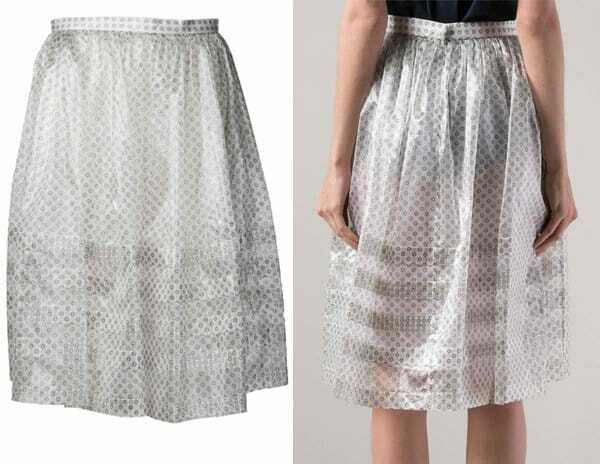 The skirt’s sheer detail and its white color did a lot to make the 35-year old actress look fresh and pristine. Can you imagine wearing a similar outfit for those scorching hot summer days? Looks like we discovered a perfect summer day ensemble. What about you guys? Do you find Mena’s look copy-worthy?